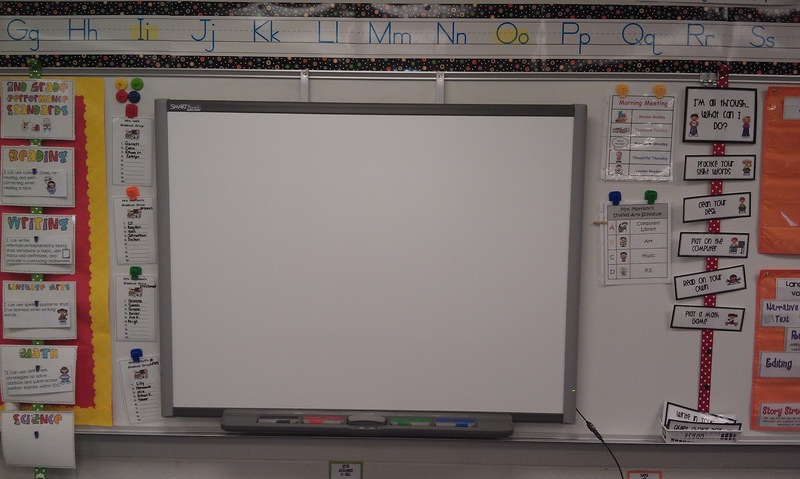 The Open Door Classroom: Number Talks, Flash Cards, and My New Addition! All you do is write these three facts on the board. Give your students time to mentally find the answer of each one. Once they have their answer, they put their fist on their chest. If they can think of another strategy or way to get the answer, they put up a finger. If they can think of two ways to get the answer, they put up 2 fingers. 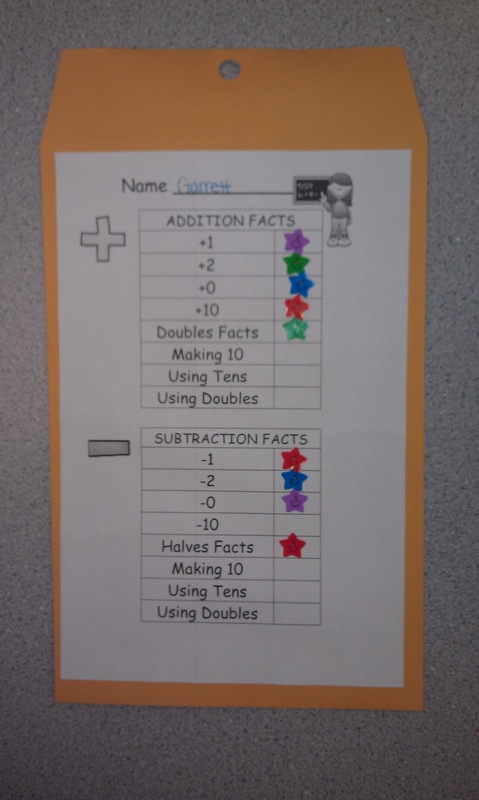 This encourages the kids to think of multiple strategies for solving these facts. Once you've give the students time to come up with their answers, have them share with the class. Focus on HOW they got their answer instead of just the answer itself. It's pretty amazing to hear what your students come up with! Some responses might include: "Well I know that 9+1 makes 10, so to solve 9+5, I just took 1 away from the 5 to make 10 and then had 4 left. I added the 4 left and got 14." As the year progresses, the Number Talks become progressively more difficult. Students are able to solve problems with two 3-digit numbers being added together in their head. It's amazing! 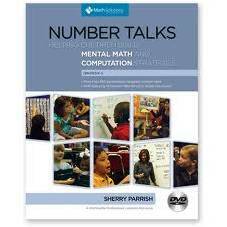 If you'd like to check out the Number Talks book, click on the picture above. I promise it will be worth it! To go along with the Number Talks book, there is a sequence of facts that you teach your students. In the past, I've always done timed math fact tests starting at +0 and ending at +10. This book encourages you to teach these facts in a different order stating at +1, +2, +0, +10, and so on. It totally makes sense! One area that I've always had a difficult time managing with math facts is flash cards. These are such a pain to manage because all of my students are working on different levels. My awesome teammate, Kristin, came up with this great idea of using an envelope with a checklist on the front. The envelope is where the students keep the addition and subtraction facts that they are working on for the week. This envelope stays in their take-home folder so that they have it at home and at school each day. They can practice their facts with their families and during times when they finish their work early at school. The checklist on the front is a visual reminder for the students and parents of which levels they've mastered and which levels they have yet to master. I explained the envelopes to my kids and passed them out- it was such a breeze! The parents are excited to have the flash cards at home to help their child practice also. It's a win-win! Woo hoo! 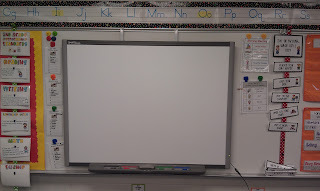 My SMART board has arrived and is installed in my room. I am in love =) My students couldn't contain themselves when they first saw it! I'm slowly trying to figure out how to use it, so it's going to take a little while but I'm starting to get the hang of basic things. I can't wait to see what all this bad boy can do! Well I hope you all are having a fantastic start to your week. Tomorrow is the big day that I will be announcing the winner of my 200 follower giveaway. Be sure to check back and see who the lucky winner is! Also- remember that tomorrow I'm having a Halloween sale at my TpT store. All of my products are going to be 20% off for one day only. Happy Halloween!! !